I direct them personally to make sure every moment looks perfect in the album. Usually the photos will be uploaded to website within 3 days after the event. Delivery lead time of all physical items is 4-5 weeks from the date of event including the album. 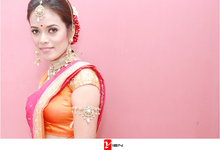 The most ideal time would be 6 - 12 months prior to the wedding or event. 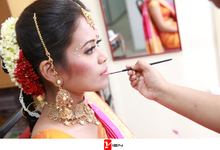 Our photographers are able to understand and direct couples for perfect candid pictures. Our photographers are always friendly, warm, and comforting. Usually our clients will provide meal. However, our photographers could take care of their own meal as long as they were informed before the event. 50% deposit for date reservation; 50% during the event. 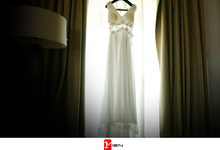 Yien Photography is being well-known to provide the professional photography service for actual wedding day. We also offer wide range of photography packages such as wedding day, ROM, corporate event, anniversary, and portraits. 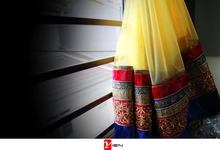 Our professional photographers are being experienced in wedding day photography more than 5 years. With our talented photography skills, your every emotions will be captured as the most impressive and memorable pictures in your life.